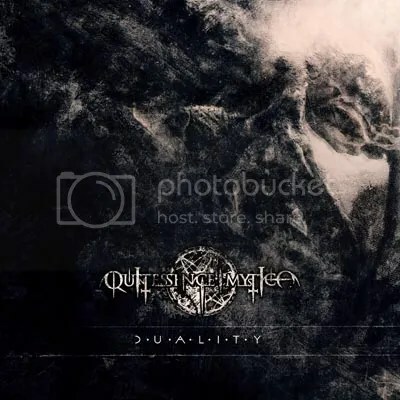 Ukrainian symphonic black metal act Quintessence Mystica will release their second album “Duality” on the 20th June. The 10 new tracks (titles below) promise to take you “in an irrational and cosmic journey” (quoting their label Schwarzdorn Production). For now, the duo composed of Master Alafern and Dromos Aniliagos has presented the fans with the track “The Infinite Dance Of Numbers”, which is available for streaming on YouTube and SoundCloud. ‘Fall of Atlas’ is the first EP from the Finnish symphonic black metal band Whorion. The band was originally formed back in 2009. They describe their style as “brutal” and “symphonic”, creating a feeling of listener being “sucked into a dark matter of space, slowly waiting for the world’s end”. So here it is, my first review in the new year. The terms “brutal” and “symphonic” don’t usually mix as far as extreme metal is concerned, so I’m a little intrigued as to how this combination could work… The opener Great Mass Suicide definitely fits the “symphonic black metal” -bracket. Comparisons to mid-career Dimmu Borgir spring to mind, though this also features death metal -style growls and guitar patterns. The Dimmu Borgir elements are present in the orchestral style synth melodies and vocal samples particularly audible on tracks such as Vortex of The Dead. By the time this second track comes on, the vocal style seems to have switched completely moving away from growling towards a more black metal sounding screaming or shouting. One thing which spoils the effect is the use of the stop-start guitar technique and the somewhat odd-sounding vocals which seem to vary in style depending on the song. Sadly it is the title track which embodies all these problems offering a bizarre mix of technical guitar patterns, brutal blackened death metal and symphonic, orchestral style synths. The result is a rather confusing mess that leaves the listener hanging, and you are not quite sure where this is heading. Symphonic, brutal and technical? Yeah, I still don’t quite get it. The symphonic black metallers Riul Doamnei have released an official video to accompany their new digital EP, ‘A Christmas Carol’. Based on Charles Dickens’ classic novel and featuring iconic singer CADAVERIA, the new Orchestral Metal Opera in eleven movements makes Christmas ghosts linger on indefinitely into the New Year. Right from the start of the opening track ‘Eye’ we are treated to some symphonic black metal, complete with shrieking vocals, heavy guitar riffs and melodic keyboards. Though by symphonic black metal, I’m not talking Dimmu Borgir…Think early Hecate Enthroned or ‘Redemption Process’-era Anorexia Nervosa and you will have a better idea of the style of black metal I’m referring to. Though unlike those two bands, Maelstrom likes to add more emphasis on to the guitars with ‘Eye’ being a good example to how to incorporate guitar solos into black metal. ‘Midnight’ is slower and more droning in nature. Even the guitar riffs seem less refined compared to the previous track; the keyboards, though still present, are far more subtle. Then there’s the eerie atmospheric part at the end which fits in well considering the name of the track. ‘Miasma’ is another guitar focused track, complete with occasional solos breaking up what is otherwise a very droning and dry-sounding song. Then we come to the end of this journey with ‘Arctica’ combining the rawness of the other tracks with some atmospheric undertones and haunting, clean backing vocals. Once again it’s the guitars that stand out the most and with a large part of the track being instrumental, the solos become that much more noticable. Overall this is a decent EP but it’s not one of those albums which you would instantly pick up. It makes for some uneasy listening and if you’re not in the right frame of mind, you are guaranteed to hate it.